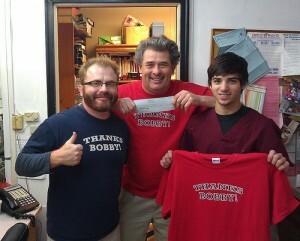 The Homeless Pets Foundation is proud to announce that “Thanks Bobby!” has made a donation of $4,084.06!!! This donation has saved the lives of 50 dogs or cats that we’ll be able to place in homes! Dr. Good would like to thank Thanks Bobby founder Scott Munn, every fan who bought a Thanks Bobby t-shirt, and the 31,000+ fans of the Thanks Bobby Facebook page. What a great way to thank Bobby Cox! Thanks Fans!